Another year, another heady mix of sun, sea, beach lunches and wide discussion about today’s property world and its future. 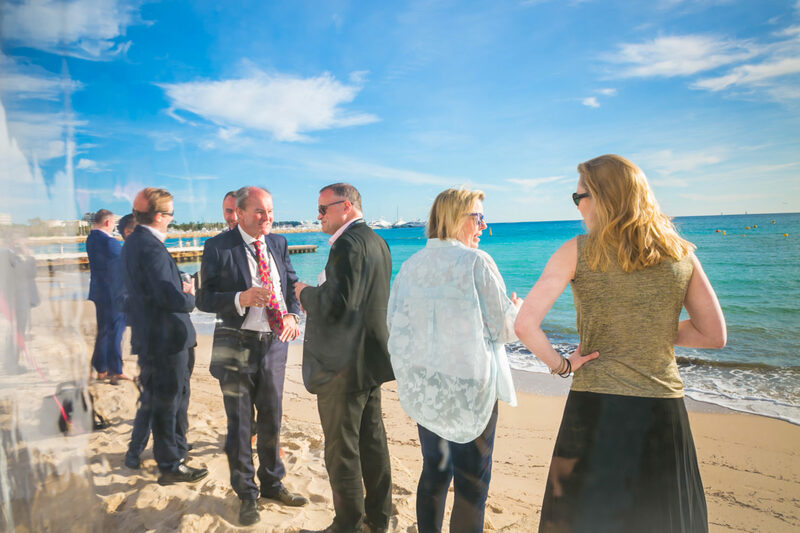 As ever, the week after MIPIM is all about getting back to the day job, giving us an opportunity to reflect on the key themes which came through at this year’s gathering, away from the Croisette. We’re lucky to have spent time with a broad swathe of industry insiders including investors, developers, architects, lawyers and local authority bodies – who each bring a different perspective to the challenges at hand. And the really interesting news? It’s not all about Brexit. In fact, the quietly upbeat tone suggested many people had moved past a ‘doom and gloom’ outlook. Perhaps, having been busily accounting for potential risks, we’re now in a better place to look ahead and consider the opportunities for economic shifts and innovation in industry practice. The UK market looks buoyant, and less London-centric. At MIPIM, the Birmingham and Manchester stands really stood out, communicating impressive plans for future growth in their respective regions. A replica of Scotland’s kelpies also gleamed in the Cannes sunshine, reminding guests that high levels of investment north of the border point to great things for Scotland’s future development. We have always backed regional growth and development from our offices across the country, operating in the Midlands, North, West and South-East of England, and with a rapidly-growing Scotland practice. The team in Edinburgh is currently instructed as monitoring surveyors for the Edinburgh St James development. This landmark project is set to reinvigorate a site in the heart of Scotland’s capital as a c£800m mixed-use scheme, bringing new retail, leisure and residential prospects to the centre. While growth is predicted beyond London, Grade A office space remains under-supplied inside the M25. We are looking forward to guiding a series of major developments to serve this need in the coming months, using our experience in significant development and refurbishment projects geared to create sustainable and high-yield office space. The idea of home ownership is becoming less of a cultural norm, as flexible lifestyles and financial liquidity take precedence over climbing the property ladder. Accordingly, the prospects are great for owners and investors to capitalise on huge demand for quality offerings in the private rental sector (PRS), which looks to outstrip its supply. At MIPIM, Grainger CEO Helen Gordon suggested that demand for PRS is set to reach 7.2m households by 2025, while we currently have just 4.5m in place today. But it’s not just the volume of property set to increase. We’re already seeing a diverse array of schemes offered up for the rental market, and if we as occupiers expect to spend our days in rented accommodation we’ll expect a broader range of rental solutions (buildings and services) to fit our personal needs. Buildings will be flexible and run in more innovative ways to meet those demands and get the most value from a hugely promising sector. This isn’t a UK-specific trend, as we’re seeing similar forces playing out in European markets driving demand across the board. Contact David Mann to learn more about the opportunities and challenges to navigate to make the most of the growing PRS sector. A conversation we had several times throughout MIPIM centred on building safety, particular when it comes to fire and cladding issues. The impact of the Hackitt review of course is a significant driver of these inquiries, though we believe it’s also an indication of forward-thinking landlords understanding public attention is shifting to become more aware of these matters. Increasingly, occupiers will query and make decisions of their property choices based on the safety measures in place. So a robust safety strategy, implemented well, will be crucial in residential accommodation and also for commercial property assets. The occupier market won’t necessarily see regulation as isolated to, for instance, residential towers of a certain height – they’ll expect all buildings to perform to a high standard where safety, health and wellbeing of inhabitants is concerned. Investigating and implementing the right safety strategy is a nuanced process which plays out differently per building. Contact Alan Pemberton to learn more about how we can meet your needs.